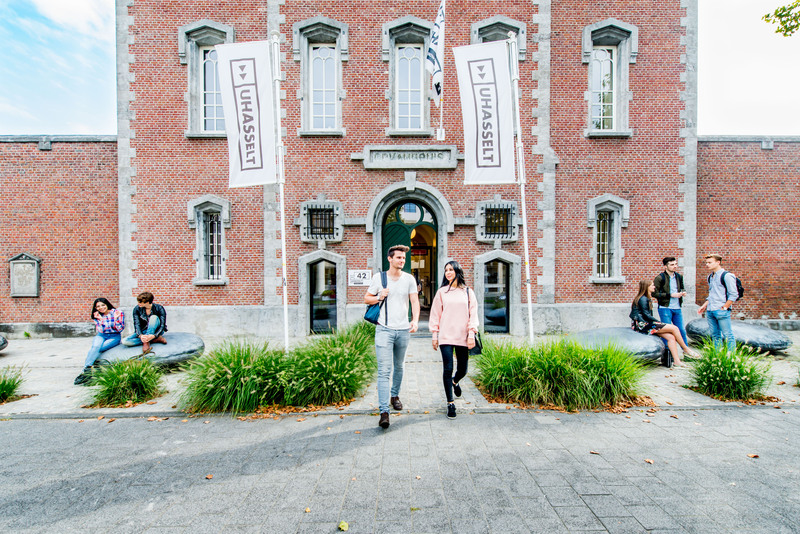 Orbel33 will be organized at the campus Hasselt of Hasselt University. This campus is housed in the former city prison, which is still evident from the architecture of this beautifully renovated building. Hasselt is easily accessible by train. There are direct connections from Ghent, Brussels, Leuven and Liège at least once an hour. The fastest connection from Antwerp involves a transfer in Aarschot. More information can be found on the website of the Belgian National Railway Company (NMBS/SNCB). The conference venue is located at ± 1,3 km from the train station. It can be reached by taking the Boulevardpendel (BP) to the stop “Hasselt Dusartplein”, which is located at 50 m from the campus. More information can be found on the website of the Flemish Public Transport Company (De Lijn). To reach the conference venue by car, leave the E313 highway at exit 27 and drive to one of the parking lots near the campus. Parking your car for free within walking distance from the campus is possible alongside the Boudewijnlaan, in the Vilderstraat or in the Elfde Liniestraat. Keep in mind that these parking lots are often fully occupied during the day. Alternatively, a paying Q-park garage (€ 16 per day) is available at the Dusartplein, located at 50 m from the campus, and can be entered from the Boudewijnlaan. Please note that you will have to make your own hotel bookings. The following two hotels provide reduced rates for the Orbel33 conference. Please find the booking link with the reduced rates in your registration confirmation. Standard single or double room with free WiFi and continental breakfast buffet included: € 93 per room per night. City tax: € 2.50 per person per night. Standard single or double room with free WiFi and American breakfast buffet included: € 115 per room per night. City tax: € 2.50 per person per night.